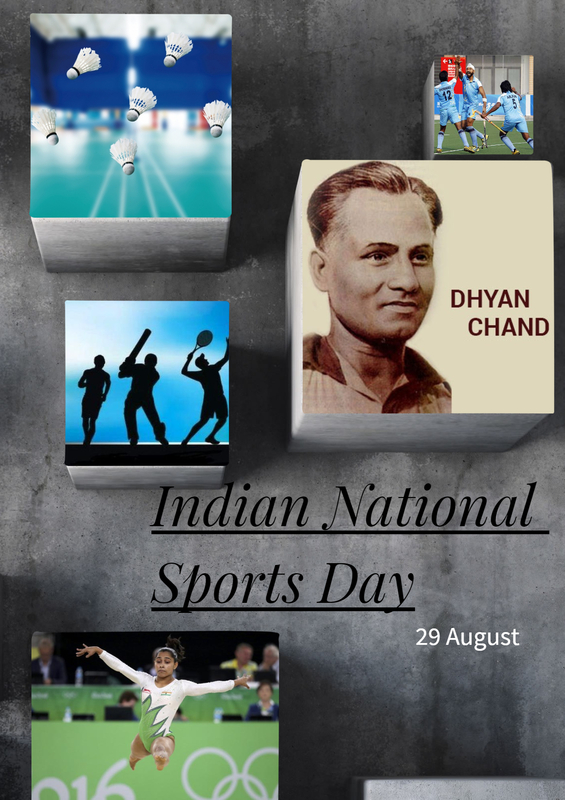 Every year 29th August is celebrated as National Sports Day in India. This is the day when great Indian Hockey player Dhyan Chand was born and to celebrate his big and extraordinary achievements in Indian Hockey his birth date was chosen for the National Sports Day. Dhyan Chand is known for his excellent goal scoring talent as well for winning gold medals in three consecutive Olympic Games of 1928, 1932 and 1936. In his overall career, he scored 400 goals of his life. 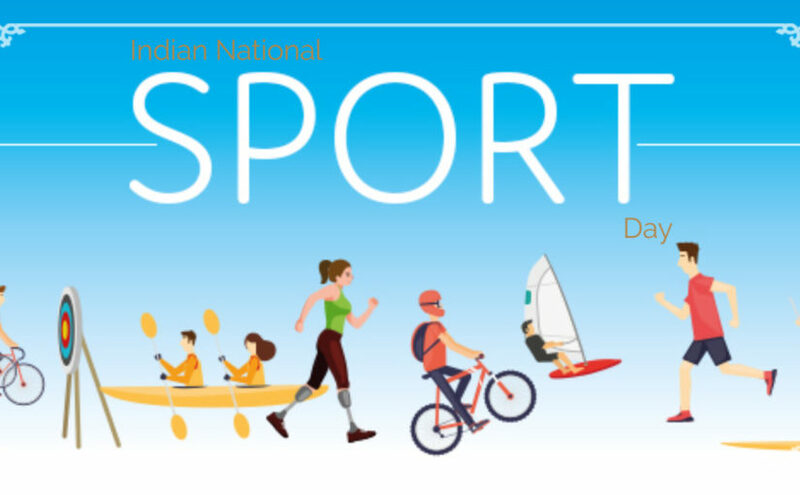 The biggest celebration of National Sports Day is conducted at Rashtrapati Bhawan when the President of India confers awards like Major Dhyan Chand Award for lifetime achievement in sports, Rajiv Gandhi Khel Ratna Puraskar (given to the best player) and Dronacharya Award etc. to an eminent and great sports person. India is well known for its love of sports and sports spirit of the players. The problems within sports institutions or sports federation have not deterred Indian Sports Players from outstandingly performing in big games like the Olympics, Asian Games or National Championships. The players work hard day and night just to better their performances and make the nation proud on these big platforms. The Indian government is also bringing major reforms in the sports structure of the nation and trying to support players in the best possible manner. The recent initiatives like granting Rs 50,000 per month to elite athletes and establishing training centers for Para athletes is a welcome step. Revamped Khelo India Program, Sports University in Manipur, the constitution of sports steering committee or constitution of Olympic Task Force, Sports for All programs, etc. are some of the positive steps to bring in the focus to sports and games. It is not a hidden fact that even after many lacunas in the sports development structure of India, players play their games not just to earn a living out of it but also because of an inherent love for sports. All great players like Saina Nehwal, Sachin Tendulkar, P V Sindhu, Baichung Bhutia, Mary Kom or Abhinav Bindra have carved out a niche for themselves just because of their love for their sports. The career has been carved out later on and builds on the foundation of success gained on big platforms. And why only sports players, but every individual should adopt the habit of playing some basic games in their daily routine. Playing sports not only is the best way to keep fit yourself, but also has come out the best stress buster in the modern life. It not only burns the fat accumulated inside and make blood rush through every cell of the human body, but also helpful in emptying the brain full of negative emotions, thoughts and memories. There is an urgent need for Indian families to include the sports in their daily life routine and replace it with excessive use of mobile games, video games and the virtual digital world. Only then can India grow as a healthy and prosperous nation.